A man who showed a little girl “kindness and compassion” at the aiport is being praised by thousands on social media. 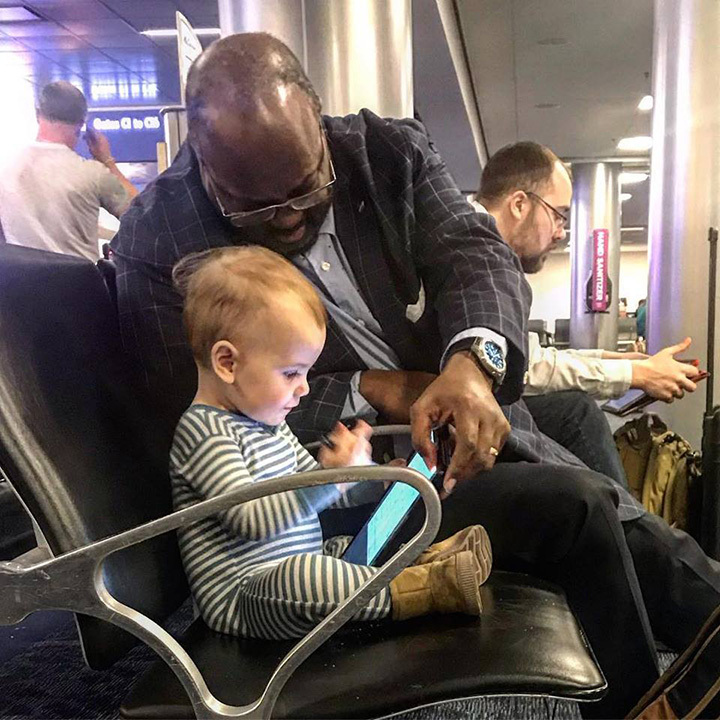 Kevin Armentrout snapped a photo of a man named Joseph Wright who took joy in entertaining his 16-month-old daughter, Carter Jean, while they all waited to board their plane. “Last night, while waiting to board our plane, [Carter Jean] was being her usual inquisitive self wanting to meet and say ‘hi’ to everyone she could, until she walked up on this man. He reached out and asked if she wanted to sit with him. He pulled out his tablet and showed her how to draw with it, they watched cartoons together, and she offered him snacks. This wasn’t a short little exchange, this was 45 minutes. Watching them in that moment, I couldn’t help but think, different genders, different races, different generations, and the best of friends. This is the world I want for her. In a country that is continuously fed that it’s so deeply divided by beliefs, I want her life to be filled with moments like this… not liberal or conservative republican or democrat, socialist or capitalist, just HUMAN. Armentrout’s post has over 300,000 likes and more than 126,000 shares.